The morning of our last full day of our trip we headed out early so we could see as much as we could of Mount Rushmore and Custer National Parks. And, since we didn't take all of the traditional routes for this leg of the trip, I'm going to talk about the highways we took, too, in case anyone is interested in our route! 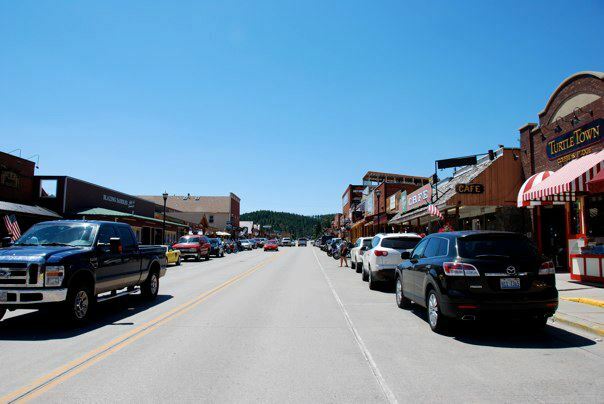 We headed south on 385 from Deadwood through Hill City to get to the monument, because my stepdad has family in Hill City, and we wanted to check out the Black Hills Institute museum. We didn't end up making it to the museum, because we wanted to make sure we had plenty of time to see everything else, but if I had more time, I'd definitely stop in! And if I had kids, I wouldn't dream of missing it - they have a T-rex skeleton! 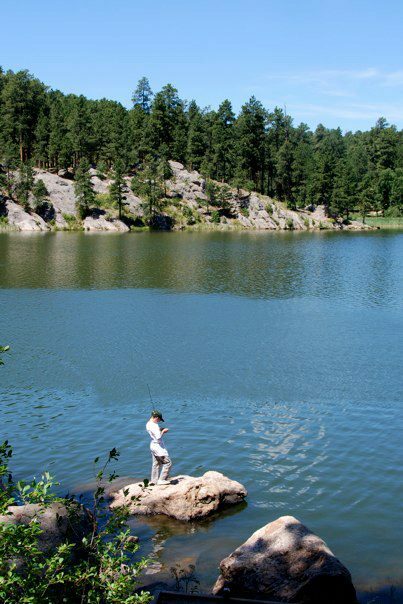 A kid fishing in one of the picturesque lakes along the drive. There is a very cute coffee & chocolate shop in Hill City called Turtle Town! 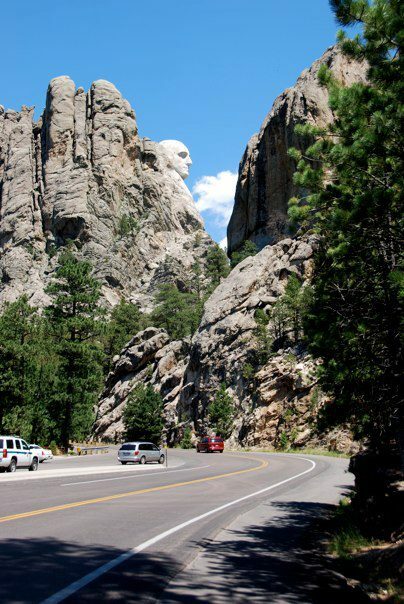 Then, from Hill City, we continued south on 385, then went east on 244 (instead of tracking back through Keystone, SD) to the Mount Rushmore monument! 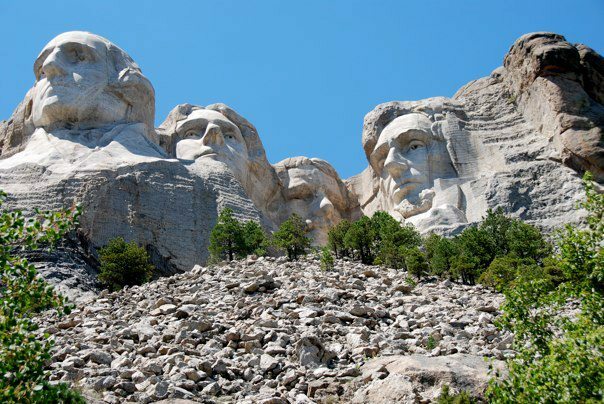 On the way down, there's a spot where you can see George Washington's profile as you get close to the entrance. It's easy to spot because there's a huge parking lot on the side of the road. When we were driving, we passed it and thought "Why are all those people pointing and taking photos of the mountain?" 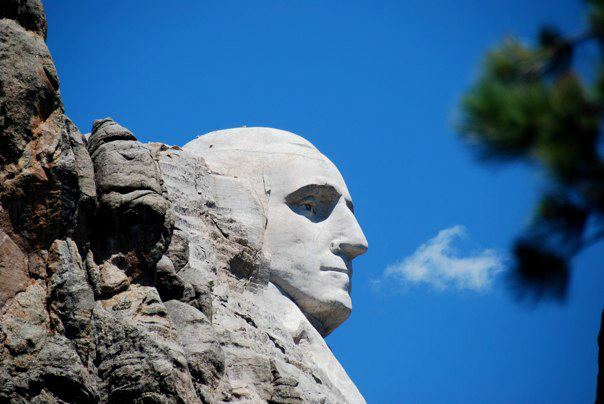 Then someone turned around and said "Holy crap, it's Washington!" We of course immediately pulled over so we could do our own pointing and photo taking! 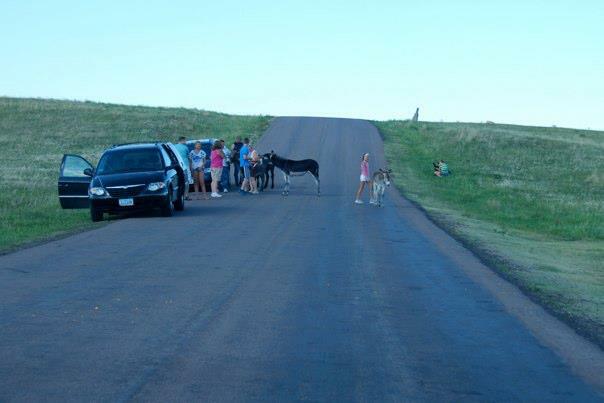 Once we'd had our fill of the profile, we continued down the road to the memorial. 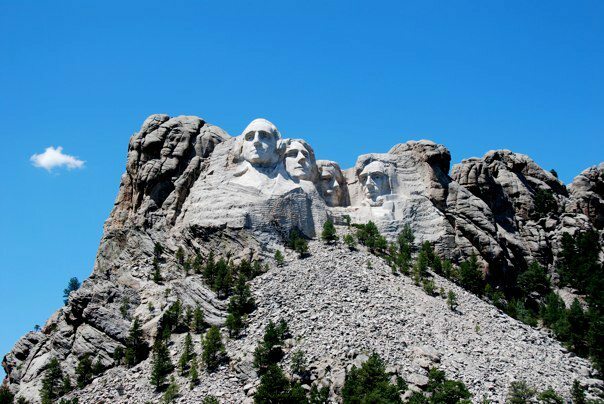 Travel tip: There are several entrance fees you'll have to pay when you go to these monuments. 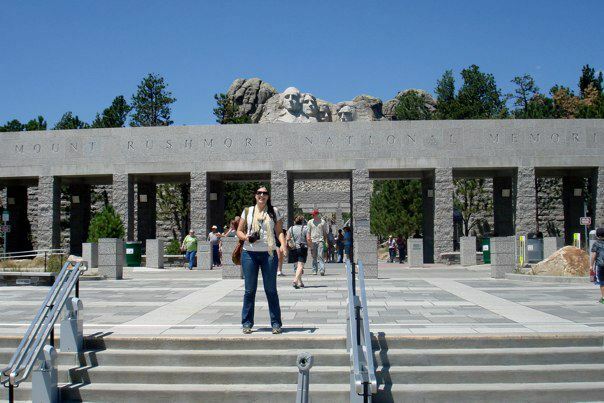 At Mount Rushmore, the monument is free, but you have to pay $11/car to park in their lot. 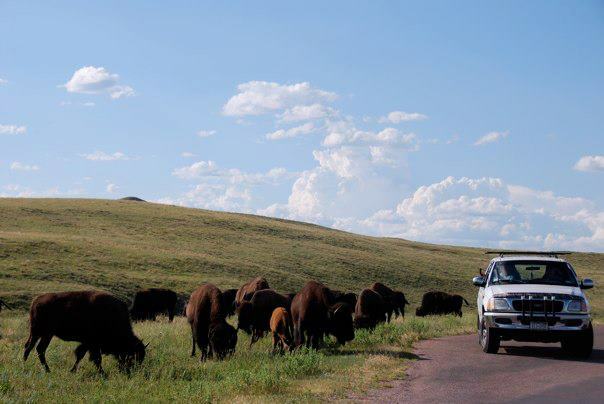 At Custer National Park, a week long entrance pass is $15/car. 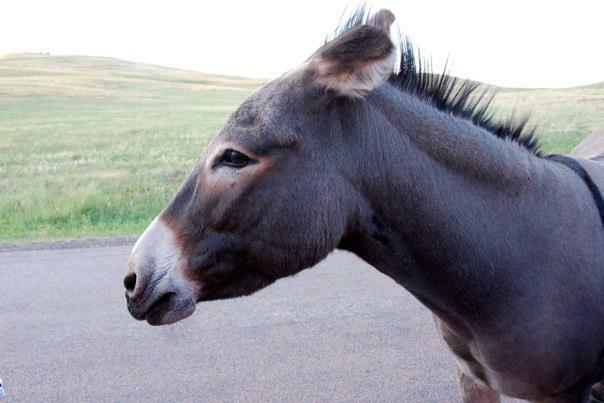 And at the Crazy Horse Memorial, there is a $27/car (or $10/person, whichever is less) entrance fee. View from the main terrace. Once we'd had our fill of the gentlemen, purchased some goodies from the air conditioned giant gift shop, and made a stop at the ladies' room, we continued on our way. 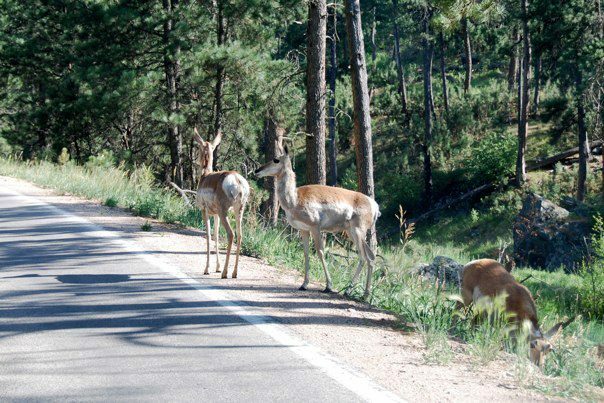 We back tracked again, heading east on 244, then south on 385 for just a moment before heading back south east on 87 into Custer National Park to check out Sylvan Lake. 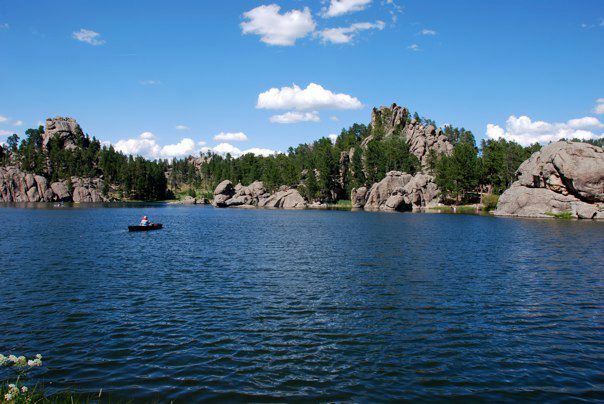 People who like cheesy movies may know that Sylvan Lake was the location of the lake "behind" Mount Rushmore in the movie National Treasure 2... it's actually about 15 miles away. 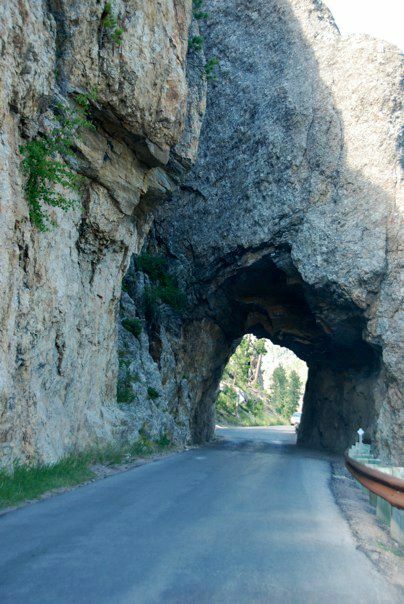 On the way there, you pass through a cool tunnel carved out of the rock, and you'll have to pay the entrance fee I mentioned before for Custer National Park. 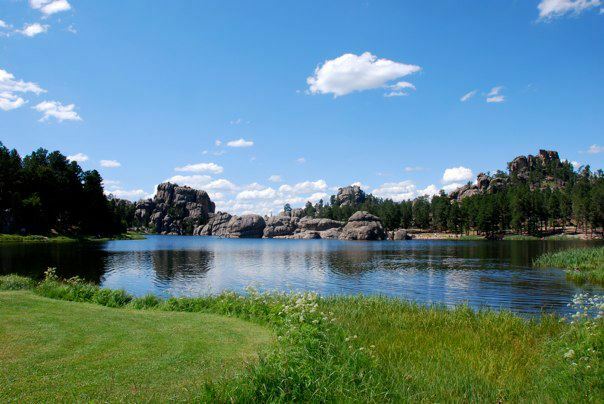 Even so, the trip is completely worth it, because Sylvan Lake was high up on our list of favorites for the trip! The rock tunnel we passed through on the way to and from Sylvan Lake. There was plenty of parking at the lake, and plenty of places to sit down and have a picnic, or a nap! 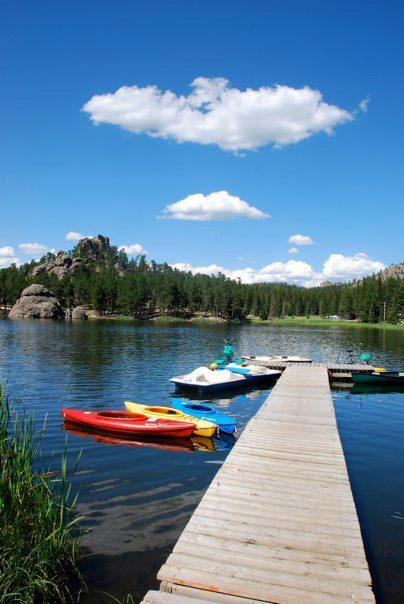 You could also rent kayaks and canoes from the general store at the lake, but they were pretty pricey. We walked as far around the lake as we could! 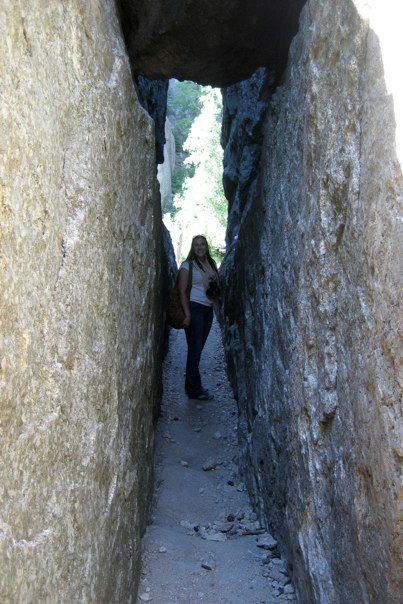 At the "end" of the lake, you can take a rock tunnel through to hiking paths on the back side of the lake. After a lovely and relaxing time at the lake (which included a quick nap, a quick walk, and ice cream) we were back on 87 heading west, then south on 385 again. 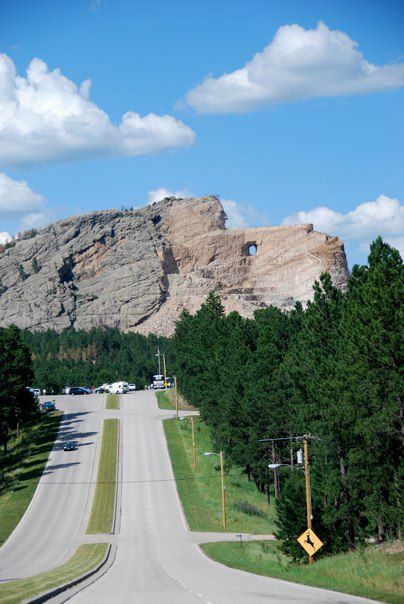 Our newest destination was the Crazy Horse memorial. This memorial is still being built, but it's supposed to be one of the coolest ones because you can walk up so close to the work being done. I say "supposed to be" because we ended up not going all the way up to the memorial. Why not, you ask? 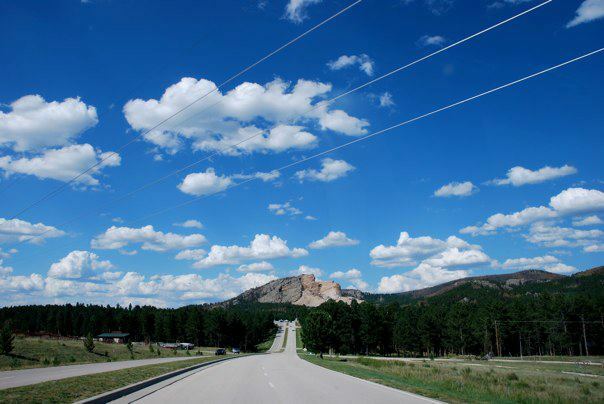 Because we were at the tail end of our trip, had already spent $26 dollars on entrance fees to Mount Rushmore and Custer National Park, and it was another $27 for us to go to Crazy Horse. We decided to come back when it's closer to being done, and settled with the long distance views we had from the car. View of the monument from where we were turning around to leave. 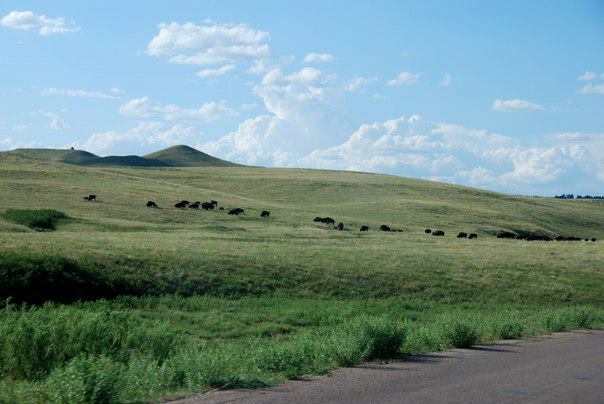 After the Crazy Horse pit stop, we continued south on 385, then east on 16A for the Custer National Park Wildlife Loop. 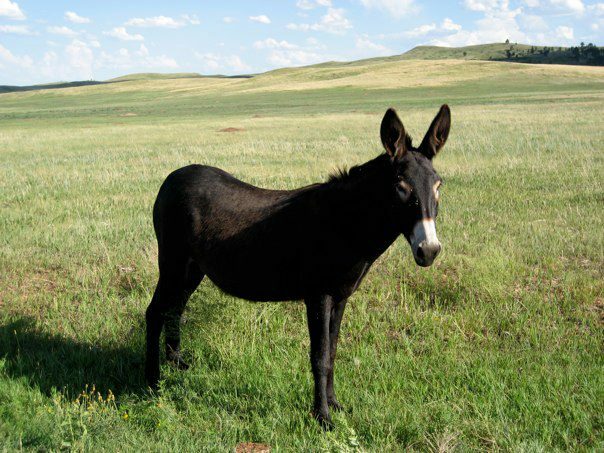 The first wildlife we saw in the loop was... a wild donkey! This one was NOT one bit afraid of our car! 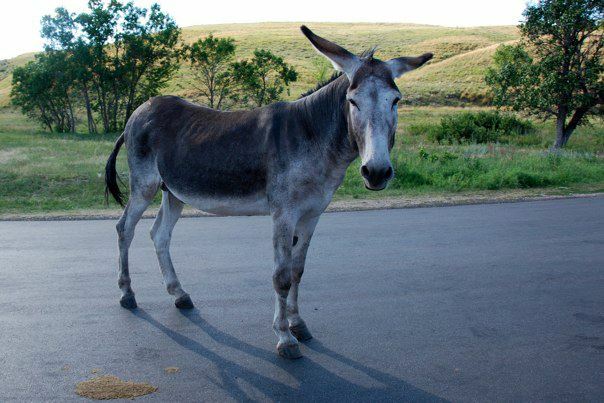 There was a family that owned a farm and had donkeys that was feeding them on the side of the road. 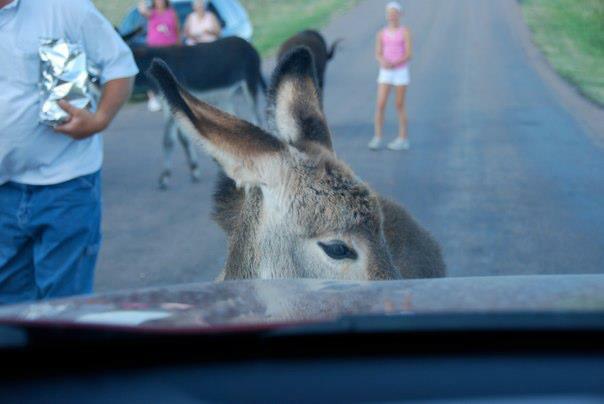 This donkey was incredibly interested in our car! 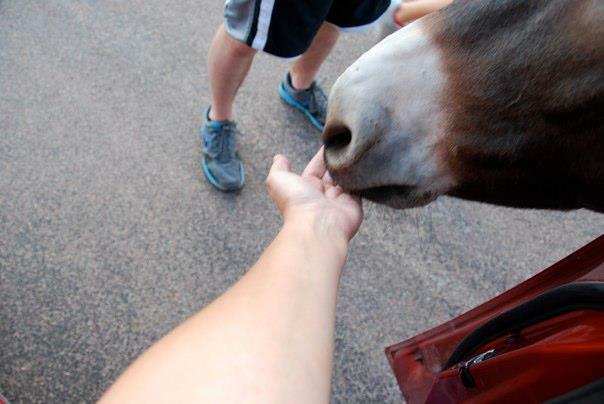 And this one really wanted a snack. So I fed it a Nilla wafer. 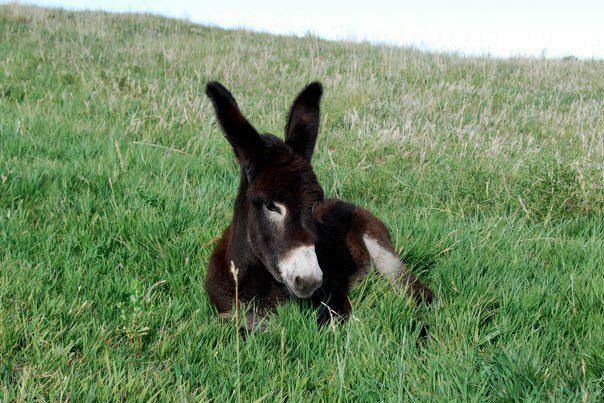 This little one was so cute! That car got MUCH close than I'd be comfortable with! 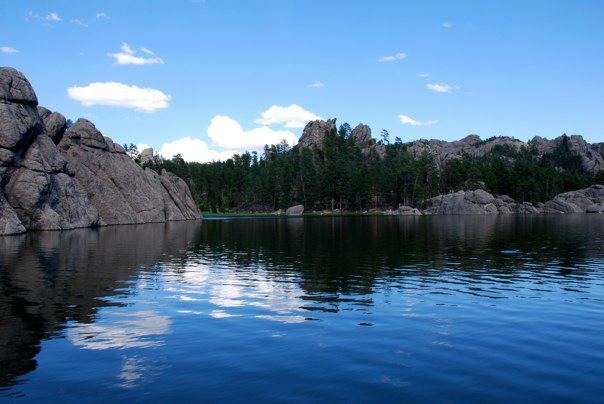 Then, the loop was done and it was out of Custer National Park, and on to Rapid City! 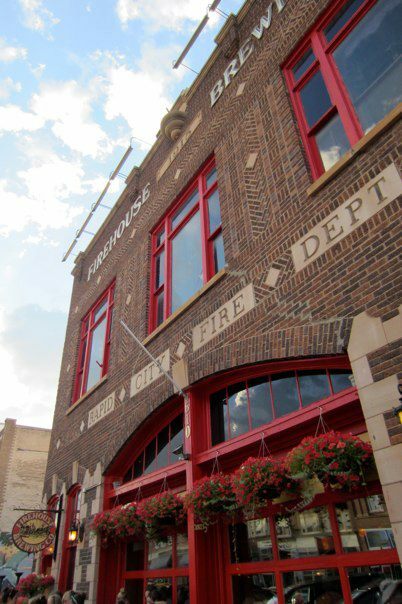 It was late afternoon by the time we arrived in Rapid City, so we check into our hotel then walked down the main street to Firehouse Brewing Co. We had to wait for a table, but it all worked out because they have a nifty souvenir shop right next door! After dinner we walked to the town square, where they were having an outdoor movie night. Grease was playing, and we watched for a few minutes (through "Summer Lovin', of course!) then headed back towards the hotel. We had a last vacation drink at the bar across from the hotel, then crashed. 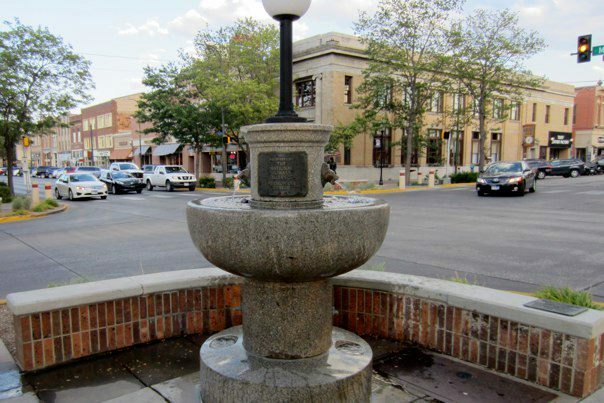 A fountain in downtown Rapid City! The Firehouse Brewing Co is in an old firehouse building, it was quite cool. It was a long but awesome trip. We flew home early Tuesday morning, which ended up being nice since we had time for a nap once we got home. We definitely packed more into our trip than perhaps was smart, and there were things we missed out on. But it was nice to see a part of the country we'd never experienced, and it gave us a completely different perspective on a couple of things. 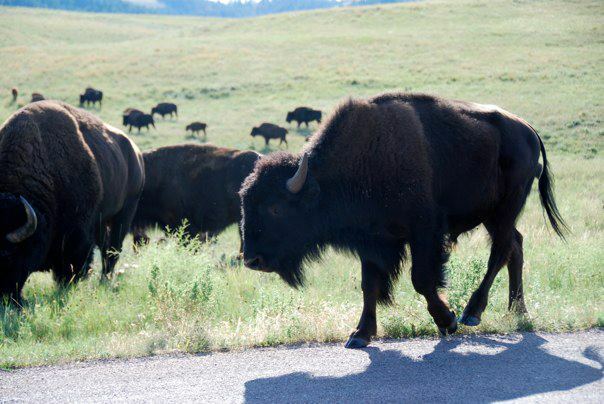 I'll definitely go back to Montana, Yellowstone and South Dakota. 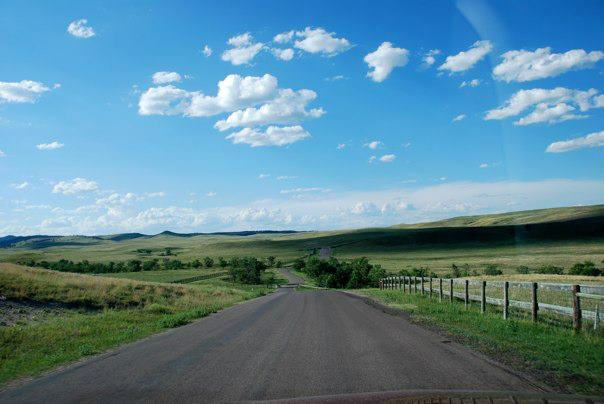 And there were pieces of Wyoming I would check out more extensively - the area around Cody, the Bighorn National Forest. 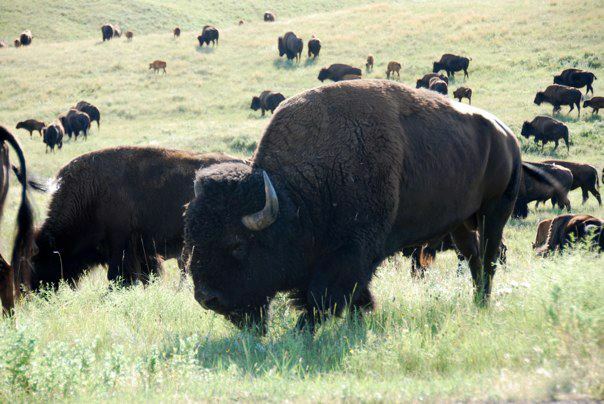 But for the most part, I think I got enough of a taste of Wyoming. What part would you look forward to most?